Carl Hayman is back in Taradise, as the locals say, seeking anyone to climb Mt Taranaki with him. "I thought someone might be keen," the former All Blacks and Highlanders tighthead prop says of his open invitations. "I've had a few responses but most of them are from my relatives round the road." Hayman has never climbed his local mountain, making it to the crater previously, but when he does in the coming weeks it will be nothing compared to the daunting Nepal expedition that awaits. Soon to embark on a two-month quest, setting off in late August, Hayman will attempt to go where even the great Sir Edmund Hillary has not been before by conquering Makalu or "the great black" with three others. Located 19km southeast of Mt Everest in the Himalayas, Mt Makalu's four-sided pyramid features the world's fifth-highest peak, standing 8481 metres. As Hillary discovered in his two early attempts, this is no jaunt. 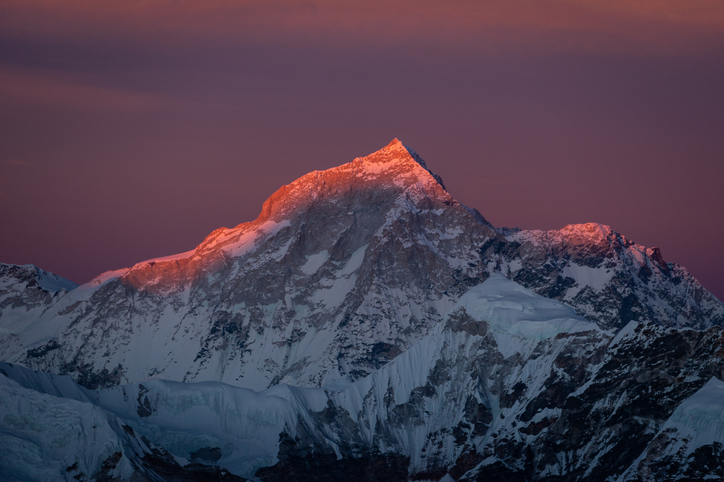 In 1954, the first year Makalu was summited, Hillary broke three ribs helping extricate a colleague from a glacier. Despite attempts to solider on he then collapsed at 6,500m and, in near-escape, it took three days to carry him down. Seven years later Hillary returned, without oxygen equipment, falling just short after suffering a minor stroke which partially paralysed his facial muscles and affected his speech for two days. Hillary's friend, Peter Mulgrew, suffered from fluid in his lungs and after severe frostbite both lower legs and the tips of fingers were amputated. Dunedin climbing legend Bill Denz died on Makalu in 1983 when a small avalanche swept him into a basin and buried him beyond reach. He was 32 years old. Wanaka's Guy Cotter and Christchurch's Rob Hall, making the climb in 1995 shortly before his death on Mt Everest, are thought to be the only New Zealanders to scale Makalu. On this technical climb, the overall summit fatality rate has diminished over the past decade to around 4.4 percent. Hayman played 45 tests before abruptly ending his New Zealand rugby career after the 2007 World Cup. In all he played over 300 professional games for Otago, the Highlanders, Newcastle and Toulon, where he won three European titles, but he admits to nerves about this next life challenge. Anything can happen on a mountain, especially one of this complexity. 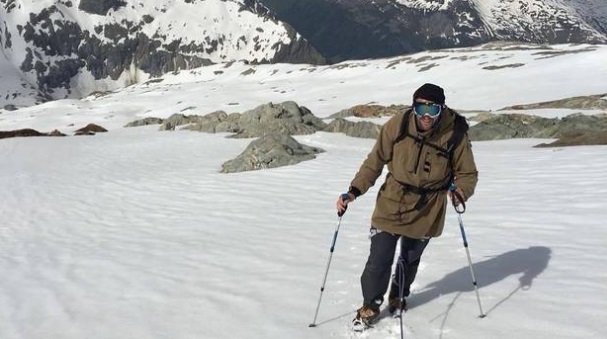 "I've done a bit of mountaineering in my time but nothing of that level," Hayman, 39, says. "I'm not sure if I've bitten off more than I can chew or not…we'll see how we go. "Even from my Dunedin days I loved being up in the Southern Alps chasing after a few tahr [mountain goat]. I've always been drawn to the outdoors so it will be a good test. "There is a sense of the unknown. At that altitude, in that state of fatigue, it's a big job. It does bring a bit of apprehension because you simply haven't been put in that environment before and how you deal with that is quite interesting. "I've spent a bit of time in the mountains and I handle myself reasonably well but it definitely gets the mind going that's for sure. "You've got a combination of altitude, technical climbing and a few dicey sections." Aside from the personal challenge, Hayman takes on this adventure to help the people of Nepal. He has been aligned with Samara, the French charity, since retiring in 2015; his first event a 230km walk with a group of Toulon players over six days in Corsica. On that trip he met Samara president Franck Candelier, one climber who will join him in attempting to tackle Makalu. With a large group they scaled Mt Blanc, the highest mountain in Western Europe (4810m), raising funds to rebuild 38 homes reduced to rubble by the 2015 earthquake in Nepal which killed almost 9000, injured 22,000, destroyed tens of thousands of homes and devastated a country among the poorest in the world. Samara has also relocated 200 people in the Rolwaling Valley, along the Tibet border, built a medical facility in the main village after providing six apprentices from Corsica, and helped educate several children. This Makalu climb aims to generate funds for future projects. Fifteen spots to Mera Peak, the world's highest trekking summit (6476m), are being sold as part of the expedition. Hayman saw the devastation in Nepal, and the poverty caused from the cease in tourism, firsthand when arrived not long after the earthquake to complete the popular Annapurna trail. It was then, during the six-week hike, he formed a bond with the surrounding area. "I was touched by the place. The mountains are one thing but as you get higher into a lot of the monasteries and touch on the spiritual side it leaves a mark on you. "It's second to none. Then you throw in the cultural side in terms of how people live – they don't have a whole lot but they've all got a smile on their face and they all want to give you something or help you." On that occasion Hayman emerged to catch the All Blacks thrash France in their World Cup quarterfinal in Cardiff from a mountain hut on a random Indian sports channel. "I thought how bizarre is this? Sitting in the middle of the Himalayas watching the All Blacks play it was surreal. You wouldn't dream of getting anything on TV in some of those huts in the middle of the Southern Alps." With their planned Makalu summit scheduled to culminate in late October, Hayman hopes to do likewise for the World Cup semifinals in Japan this time around. Hayman's adventure and charity work expanded this year after his sudden exit from French club Pau, where he worked as forwards coach for two seasons. Reports at the time suggest he was suspended after an altercation with players. Having signed a non-disclosure agreement with the club, he is limited in what he can say about the incident. "I'm not allowed to bring the club into disrepute. It was a bit of a shame because I'd invested a good amount of time and energy into trying to move the club forward. Our results weren't going well which was putting a lot of pressure on a lot of people but it's just one of those things. I can't really go into too much more even though I'd like to. "It's unfortunate but on the back of that a lot of good things have happened. There's always a positive around the corner from every negative situation." 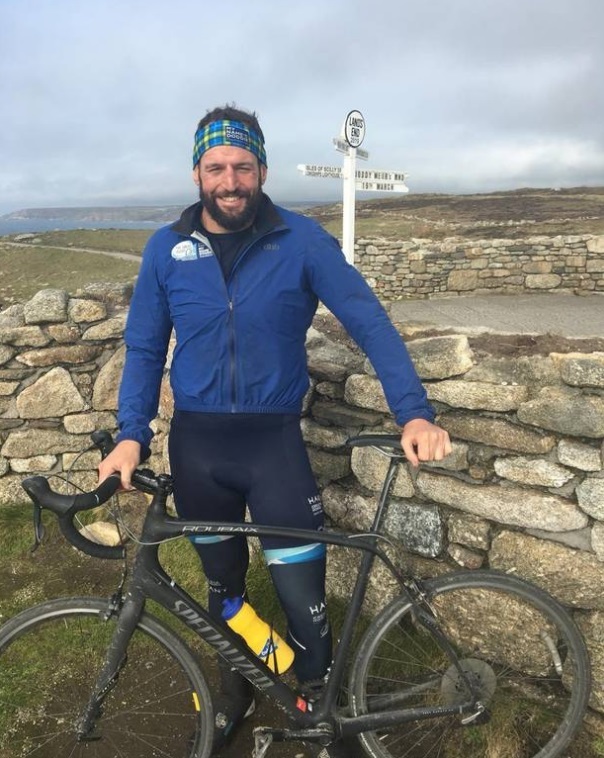 Hayman has since savoured his first year outside rugby for two decades by participating in a bike event to cycle 2000km across the UK over 16 days, along the way taking on his first professional boxing bout. Biking from Land's End, west Cornwell, to John o' Groats, a small village in north Scotland, while deviating to rugby clubs in between, Hayman helped raise £15,000 (NZD$29,000) for the My Name'5 Doddie Weir Foundation, a charity which funds motor neuron disease research. Hayman knew Weir, the Scottish test lock, from his time at Newcastle. He arrived with no bike or training behind him and on one day cycled 180km. "I regretted that in the first three days because my backside was that sore but we got through it. "It was a pretty special event in terms of the rugby community coming together and the various ex-players who would join in for a stage. It's neat to see rugby people getting in behind a real character. There's not too many people who can rock round in a tartan suit and pull it off." The route happened to stop in London so Hayman scheduled his pro fight there after training at a boxing gym in Pau. Riding 96km on the day of the fight, 160km the next, he was thankful for a swift round one TKO victory. "It was one of those things to do really. Since I was training I got an appreciation for a different sport and the physical toughness of the cardio demands but at the same time it is so technical and tactical. "I think I might stop there but at the time it was why not?" Those events, as it transpired, provided training blocks for the Makalu mission. Hayman returns to France in May to master the technicalities associated with the equipment his complicated ascent requires. Fortunately his children – Sophie, 6, Taylor, 5, Charlie, 3 – are too young to comprehend the scale of their father's task. "They were a bit worried today we were under Mt Taranaki and there was cloud coming over and they said 'daddy the mountain is going to blow up we need to get away'. They were pretty adamant it was going to blow which was a bit concerning." All going well, Hayman will continue climbing after this expedition before eventually returning home to settle. "It's going to be a bit of an adventure, hopefully, and at the end of it a good cause to be helping out some good people who need some help. "There shouldn't be too many issues providing I come back in one piece." Should he reach the Makalu summit, New Zealand will be proudly displayed. "I'll definitely have a flag tucked away. It'd be a nice little souvenir." He might even don an All Blacks jersey from "back when they were baggy". For now, though, he still wants someone to climb Mt Taranaki. All Black Number 1000 - even us supposedly "One-Eyed Cantabrians" appreciated you as a player, friend or foe. Now it looks like you've gone onto even greater causes, helping people the whole way - good on ya, Carl!! Rob Hall was a good friend of mine - good luck on that bloody mountain! I'm sure you'll get there, you're a tough nut. I'd climb Taranaki with you, but after 33 years of ice hockey, my knees wouldn't handle it! !